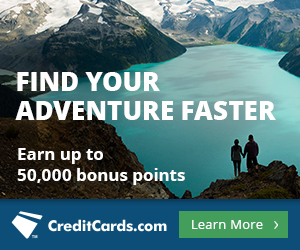 This post is part of a series about how to maximize value when transferring your Citi ThankYou Points to airline partners. Singapore KrisFlyer miles should have your attention. You can amass a huge stash since you can easily transfer Chase Ultimate Rewards, American Express Membership Rewards, Citi ThankYou Points, or SPG Starpoints to Singapore miles. Singapore awards include fuel surcharges when an identical cash ticket would have fuel surcharges, and I believe that all Singapore flights except those leaving Brazil have fuel surcharges. These are noted in the post. Almost all my choices will focus on flying Singapore Suites Class, since that is what’s special about using Singapore miles. Here is a list of routes that feature Singapore A380s (and thus Suites Class.) Most of these deals are really just fair prices, not exactly sweetspots, but since they are the only way to fly such a fantastic product, I consider a “fair price” to be a sweetspot. Singapore flies from Sao Paulo to Barcelona to Singapore with no fuel surcharges because Brazil law prohibits fuel surcharges. Economy and First Class tickets are absolute steals for 10.5 hours of flying, especially compared to how many miles competitors charge. Award space is wide open on the route in all cabins. Unfortunately Singapore flies a 777 with First Class instead of an A380 with Suites Class on the route. Here is my review of Singapore First Class. Singapore flies an A380 daily from Los Angeles to Singapore with a stop in Tokyo. You can fly the whole thing (19 hours in the air) or just to Tokyo (12 hours.) Both are decent deals with miles, though the fuel surcharges are much lower if you just go to Tokyo. The only other Singapore Suites experience from the United States similarly allows you to fly to Singapore with an intermediate stop. The flight to Frankfurt is just 7.5 hours (and a bit longer flying west), while flying all the way to Singapore would be 20 hours in the air. Ultimate Rewards, Membership Rewards, and ThankYou Points transfer 1:1 to Singapore miles with a 12-36 hour delay. SPG points transfer 1:1 to Singapore miles, and for every 20,000 Starpoints transferred, you get 5,000 extra Singapore miles. Singapore miles are excellent for booking flights on Singapore Airlines. Singapore has way-too-cheap awards from Sao Paulo to Barcelona in economy and First Class with no fuel surcharges. Singapore miles are easy to get as a transfer partner of every major transferable points program. 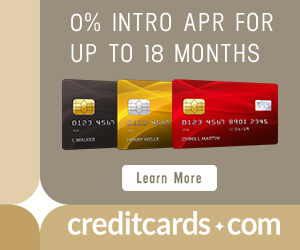 Doesn’t Citi Premier have a 60k sign up bonus? I couldn’t possibly answer that for you. It comes down to whether YOU want it. 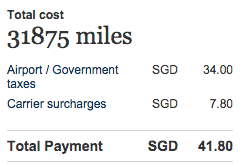 Singapore doesn’t collect fuel surcharges on United flights. based on your post, I plan on booking Suites class for October 2016. It appears that availability on Singapore begins 355 days out. Is it good idea for me to transfer Ultimate Rewards prior to October so that I can book seats 355 days in advance, or can I wait until seats show as available, then transfer UR, and book once they hit my Krisflyer account? I’m reluctant to transfer UR until I’m certain that there will be Suites availability. Your thoughts? Thanks much. Wait until you see the space. It isn’t that hot of a ticket since few Americans have Singapore miles. Hi Scott, is it feasible to transfer TYP to SPG Starpoints and then transfer those points to Krisflyer miles? I’m thinking about the 5,000-mile bonus for each 20,000. ThankYou Points don’t transfer to SPG points. Just transfer TYP directly to Singapore. Has singapore devalued their chart since this? Looks like NYC to Singapore would clock in at 110k not 93.5 or am I missing something here? You are missing the automatic 15% discount for booking online.